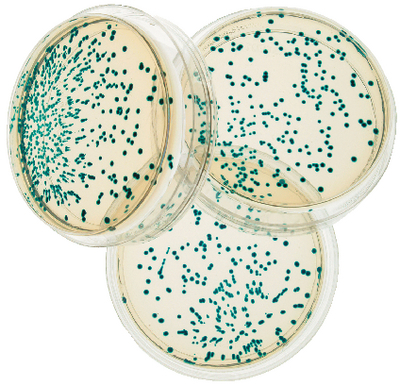 In this experiment, your students will develop an understanding of bacterial transformation by plasmid DNA by introducing an opportunity to observe an acquired phenotypic trait of the transformed bacterial cells. The presence of blue bacterial colonies visually demonstrates the expression of a specific gene for the Lac+ phenotype. Kit includes: instructions, BactoBeads™, plasmid DNA, buffer, media, ampicillin, X-Gal, ReadyPour™ agar, petri dishes, sterile pipettes, loops and microtubes. Packaging: Some components require refrigerator & freezer storage on arrival.